Get cash for your junk car in Akron OH! Free quote in 90 seconds. Dealers don't want damaged cars. Akron car dealers aren't likely interested in your damaged car. Akron junk car buyers will likely only pay you scrap prices. If you are looking for cash in Akron, junk dealers will only pay you “per the pound” scrap metal prices. Individuals don't want to purchase other people's problems. You can spend money advertising your less than perfect car and still not sell it because most people want a car they can rely upon. The modern, innovative solution is DamagedCars.com. 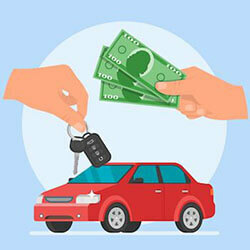 Cash for cars in Akron has never been more convenient … get your free, no-obligation quote today! DamagedCars.com will get you a cash price that is guaranteed for your car within minutes! 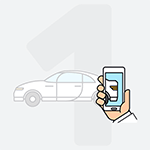 We buy cars online, meaning you don't have to leave your home. 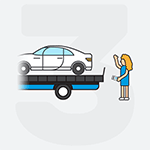 We will even pay for towing so you have no out of pocket expenses! We buy junk cars whether they are running or not! It couldn't be easier to sell your “less than perfect” cars than through DamagedCars.com. DamagedCars.com will buy a wide variety of vehicles. Do you have a sedan or van? We'll buy it. Looking to sell an SUV or crossover? 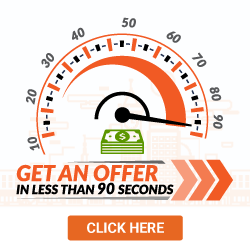 We'll get you an offer in minutes. 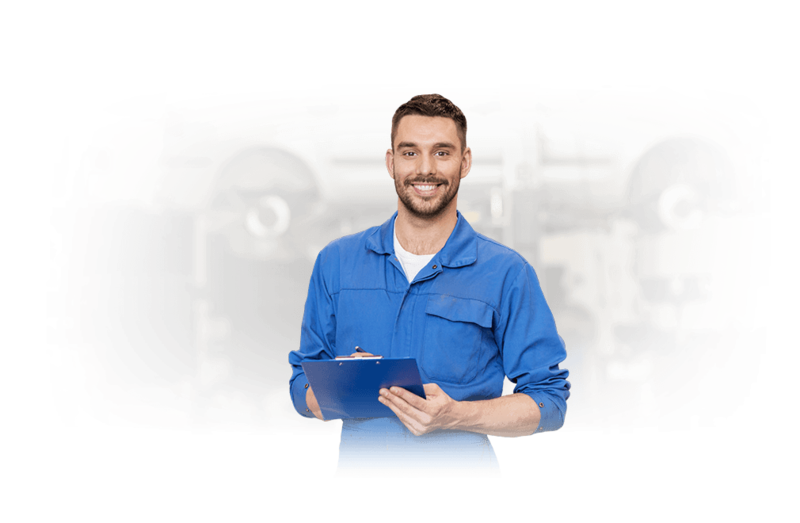 We specialize in buying cars online with severe mechanical failures and vehicles with extensive physical damage. We don't just pay "by-the-pound" scrap metal prices. We consider the year, condition and options and features of your car when creating your guaranteed offer. Selling your junk car online to DamagedCars.com is simple! All we will need is your title and keys and an optional bill of sale and vehicle registration. Of course, we encourage you to remove all of your personal items and license plates. When you have these items at pick-up, you will have your money quickly and we will tow your car aware at our expense. How Much Can I get When I Sell My Car in Akron, Ohio? While car dealers don't know how to evaluate the price of a damaged car and junk dealers pay the pound, we take into consideration factors like make, model, year and condition. What's more, we take into account any upgrades and options. Selling to DamagedCars.com will save you time trying to sell to Akron salvage yards plus you can take comfort knowing we will pay for towing. 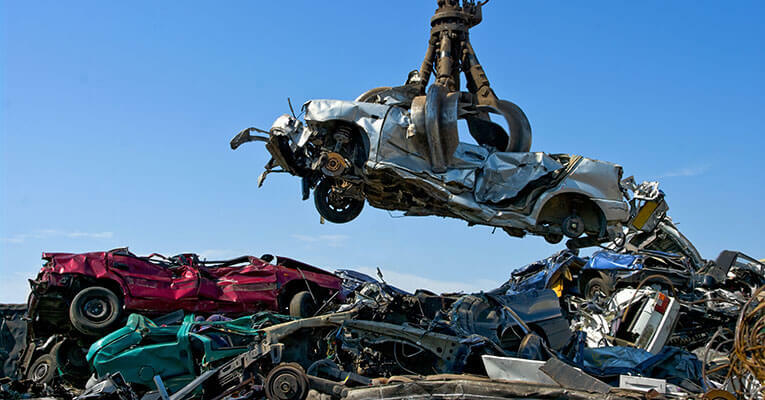 We only deal with responsible partners who will recycle car parts in an environmentally friendly way. Selling to DamagedCars.com can be done from the convenience of any internet connected device. We give you a guaranteed quote within minutes and there is no hassles or haggling. Transactions are usually completed within two business days and we pay for towing. Now is the time to act and remove that damaged car from your driveway or front yard with DamagedCars.com. Get your free quote today and get paid for your junk car in 48 hours or less! Akron maintains its Rubber City roots in a variety of ways including the Akron Rubber Ducks minor league baseball team. It recently has gained fame as home of legendary basketball player LeBron James who went to Akron St. Vincent-St.Mary's High School. The city is enjoying a bit of a renaissance. There's no need to call around or visit Akron junkyard car buyers when we buy junk cars online! Visit DamagedCars.com today and get your offer for you're less than perfect or junk car. What should you know before selling to a junkyard or private buyers in Akron?